1. Saturday, 16 and 23 May, at 10am – Postcard Teas School: Shades of Green (16 May) and Blues (23 May), £20, ADAVNCED BOOKING is ESSENTIAL! 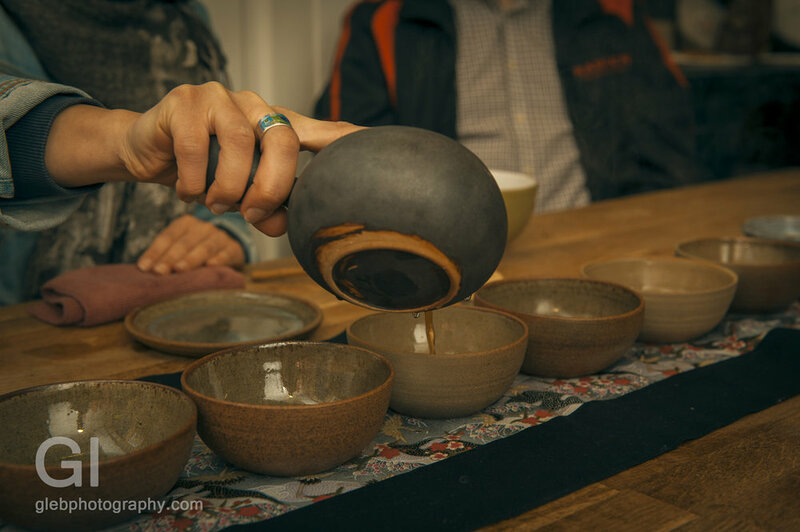 Every Saturday between 10-11am, they will host a relaxed one-hour tasting of teas from areas he has visited complete with illustrated tasting notes. I have never been to one of these before, and it seems to be organised by the Chinese descendants from Hong Kong, who are passionate about maintaining and promoting chinese culture in the West. Looks lovely! I spoke once with Selina, who organises it, and she seemed really lovely. This tea ceremony takes place every Sunday! Tasting four great teas and learning lots about them in the beautiful surroundings of Kensington Gardens in Hyde Park. The following teas will be tasted: Silver Needle white tea, Huo Shan Huang Ya Premium extra yellow tea, Lao Tie Guan Yin oolong tea and Tie Luo Han oolong tea. Your guide into the world of tea here is the Daoist master with decades of practice and experience!!!! 4. Monday, 18 May, at 3pm - A Tea Odyssey at Asia House in Central London, £8 I will be there increasing my education in the world of Darjeeling teas!!!!!! Tea fanatics abound, and its fans are fierce in their interest and loyalty to this very special variety of brewed beverage. Jeff Koehler tells the intriguing and spectacular story of Darjeeling, the world’s most celebrated tea. This is a tale of how Darjeeling developed its prodigious tea industry under Imperial British rule and eventually came to produce some of the highest-quality leaves in the world. It is a fascinating portrait of the region from the days of the Raj to that of the ‘voodoo farmers’ of the present day, who get world-record prices for their fine teas, all set against the backdrop of the looming Himalayas and drenching monsoons. Jeff Koehler, writer and cook, will launch his new book Darjeeling: A History of the World’s Greatest Tea at this event, which is supported by Ahmad Tea, whose distinguished teas will be enjoyed throughout. 5. Friday, 22 May, at 14.00 and 15.00 at British Museum – Japanese Tea Ceremony demonstration by Urasenke Institute. FREE. I went there in November and even now, at the memory of all those delicious combinations of amazing cheeses and teas, I almost faint from taste bud pleasure… Highly recommended, and tickets are selling out fast usually for this event! I also reviewed this event previously in one of my posts, please check it out! I would like to tell you a little bit about the host of this event, Alex. I have not met him in person yet (I am sure I will soon), but I met his girlfriend at Vipassana meditation retreat, and a friend and colleague of his. And what I heard about him is amazing. A young man, a traveller, an adventurer, a talented musician in a band called Gentle Mystics, a meditator and a qi gong practitioner - he is a free spirit, who has such an amazing energy that, no doubt, will be shared with your through tea. What amazes me is that being relatively young and being also a part of the music industry, he doesn't drink alcohol or take drugs, but is fully dedicated to tea, meditation and qi gong/tai chi. I wish I was like this at his age…. So yes, a recommended event in Brixton that I am sure will be deep and transformative in many ways. It's limited to 6 people only, so booking in advance is highly recommended! Hope to see you very soon on one of those wonderful events!!!!! !